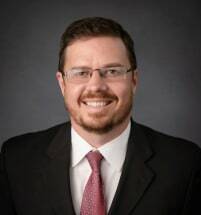 Cory McDowell is a shareholder who practices in the firm’s Estate Planning and Probate Section. He is board-certified in Estate Planning and Probate Law by the Texas Board of Legal Specialization and is licensed to practice law in Texas and New Mexico. Cory's practice focuses primarily on estate planning for individuals, special needs planning, and helping clients dealing with probate matters following the death of a loved one. He also regularly assists attorneys in other states seeking an ancillary probate in Texas and New Mexico. Cory’s practice has served everyone from the young couple needing to name guardians for their first child to clients who would be considered to be extremely wealthy by any measure. His clients have included various business owners, doctors, ranchers, executors, trustees, banks, veterinarians, relatives of individuals with special needs, educators, ministers, other attorneys, accountants, executives and other professionals in the oil industry, including engineers, etc. Cory grew up in the Permian Basin and as a teenager and young adult spent time working in the oil fields surrounding Imperial, Texas. He is active in the community and enjoys volunteering with local entities such as his church, Midland Independent School District, Midland College, Teen Court and Legal Aid. Cory is often asked to speak on Estate Planning and Probate Issues.